A lot of us want to work from home for a whole host of reasons. I mean, it’s pretty awesome. You can drink as much coffee as you want, without feeling guilty about depleting your office’s K-cup supply. You can play your music as loud as you want — even if it’s the Backstreet Boys. You can work with your cat on your lap. And let’s not forget everyone’s very favorite part: You don’t have to wear pants. At least not real ones. But many women have specific, special reasons to work from home. In many cases, women are still the primary caretakers of children. And although couples often jointly announce, “We’re pregnant,” it’s the woman’s body alone, of course, that does the work of baby-building. This program will allow female employees to work from home for up to one year to accommodate a variety of “lifestage needs,” according to Business Standard. The list of eligible needs includes pregnancy, maternity and medical conditions. ICICI Bank is also covering extended costs for managers who travel for work and must either bring their young children or secure child care during their absences. The bank launched the initiative to keep women in these situations from quitting. And even though it’s only been live for a few weeks, the firm has already seen an increase in productivity. Pretty awesome, right? 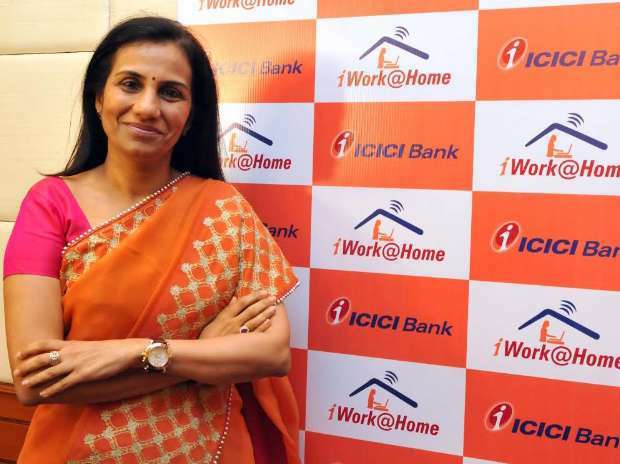 It probably helps that ICICI Bank CEO Chandra Kochhar is also an MD — and a woman. Even if your company isn’t quite as forward-thinking as ICICI Bank, you could try convincing your boss to let you work from home. Here’s how. Otherwise, if you’re passionate about going pants-less during the workday, you might consider packing up your desk and trying one of these ways to make money at home. You could also start a freelance business so you can set your own rules. And hey, if the business ever gets big enough that you hire your own employees… maybe letting them work from home wouldn’t be such a bad idea! Your Turn: Would you work from home if you could? Let us know in the comments. Jamie Cattanach (@jamiecattanach) is a staff writer at The Penny Hoarder. The ability to work from home is like 97% of the reason she became a writer in the first place.